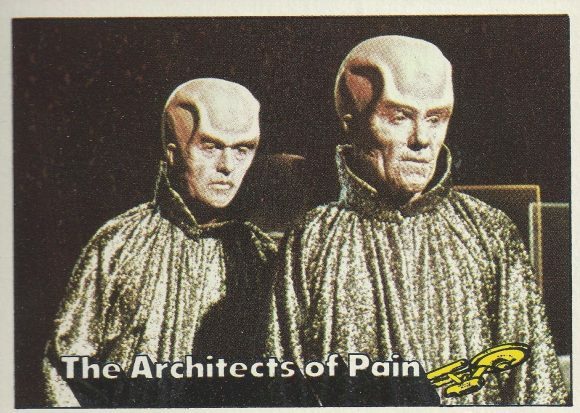 I really wish that I hadn’t waited until I was 19 to become a Star Trek fan. 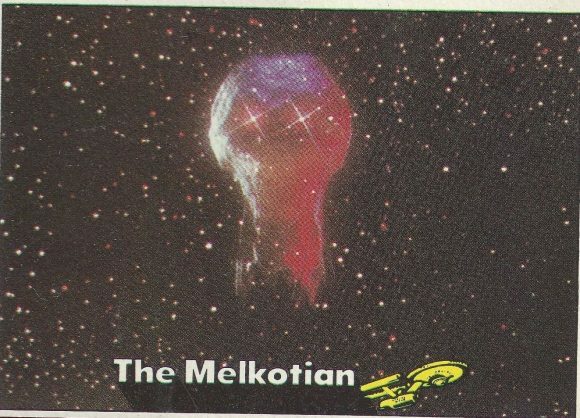 I missed out on the original go-around for Trek Megos, I missed seeing the first movies in the theater, I missed begging for a phaser game for my birthday. I really didn’t discover the joy of Treks until the summer of 1986, when I’d watch it late at night on Channel 11 in New York. 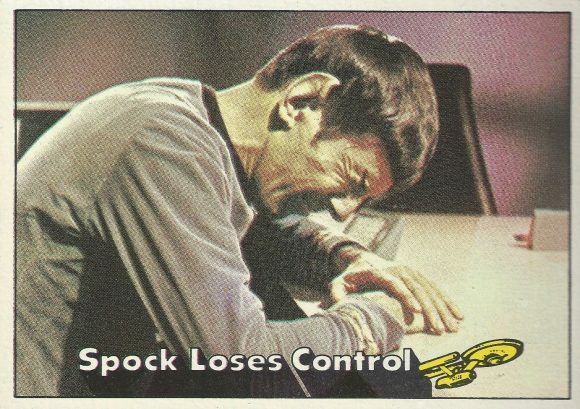 Unfortunately, that was 10 years after Topps produced a trading-card set based on the show. So I missed that too. Man, what a piece of work this set was. 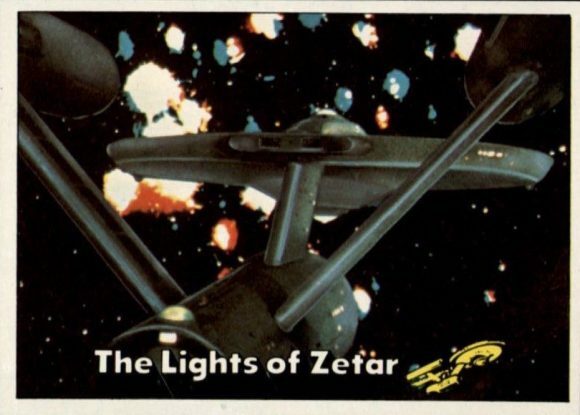 Good thing the fine folks at Abrams ComicArts did all of us Kirk Come Latelys a favor a few years ago and published a hardcover book that reprinted the images of each of the 88 cards and 22 stickers in all their full-color corny, interstellar glory. The book, by Paula M. Block and Terry J. Erdmann, lists for $19.99 — a bargain of galactic proportions when you consider what it would take to buy the whole collection — and comes in a waxpaper dust jacket that mimics a pack of cards. 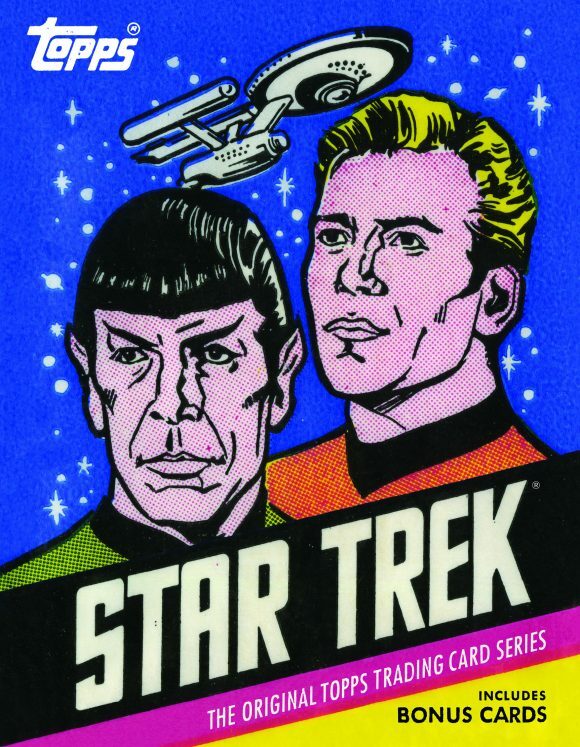 Included are four new cards — including two featuring Sulu, who was inexplicably left out of the original run. The card is actually much clearer than that. I just added a fancy special effect to make it look old and washed out. 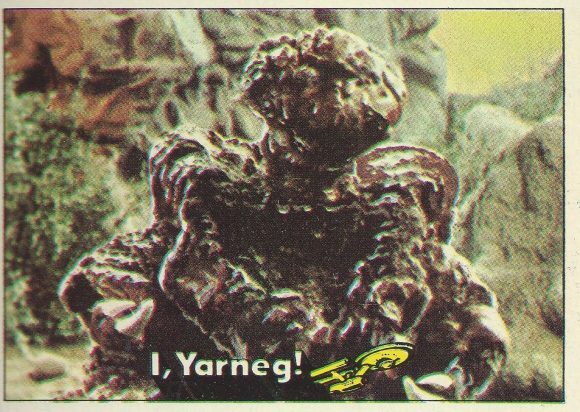 I have long said that part of Star Trek’s eternal appeal is its inherent cheesiness. 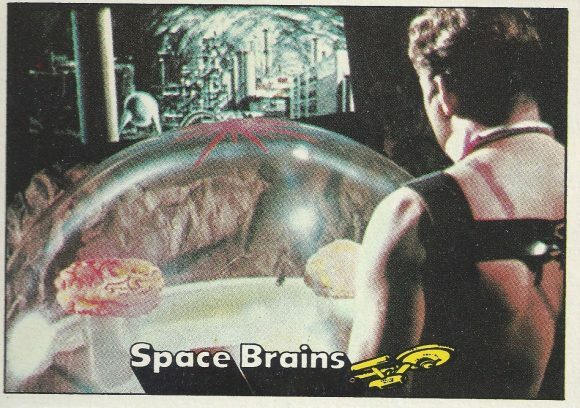 The hammy acting and corner-cutting special effects are like candy to me. 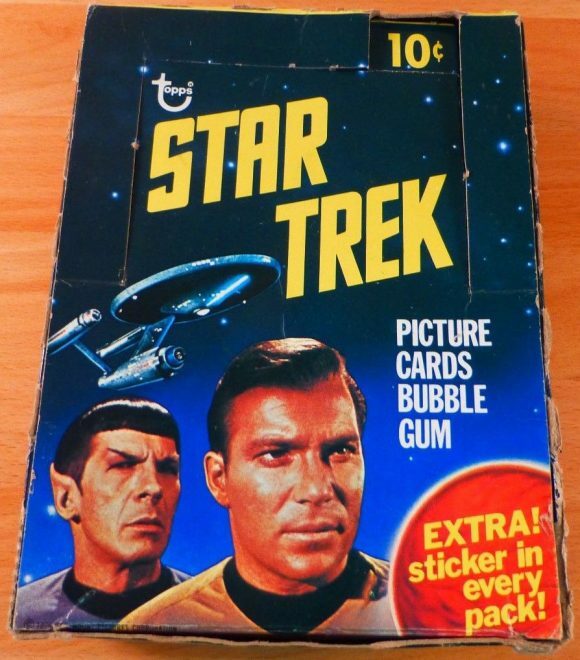 And Topps didn’t disappoint when it created its card set, which was produced during the mid-’70s Trek craze that was driven by syndicated reruns a decade after the show was unceremoniously axed from network TV. 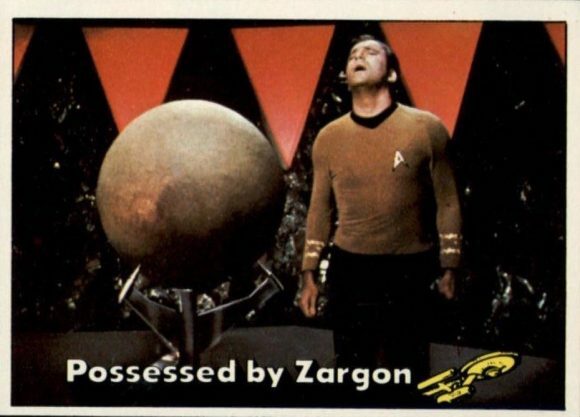 So here they are: The 13 Trippiest, Goofiest, Cheesiest, Most Awesome Cards in the Topps Set. Hey, maybe next time, I’ll do the stickers! Swashbuckling Sulu! That says it all. 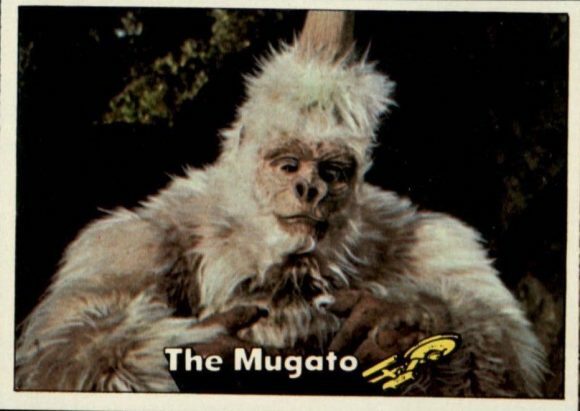 Mugato. I believe they pronounced it Mugatu in the episode, which I like better. Another thing Ben Stiller has borrowed from our childhoods and made money from. 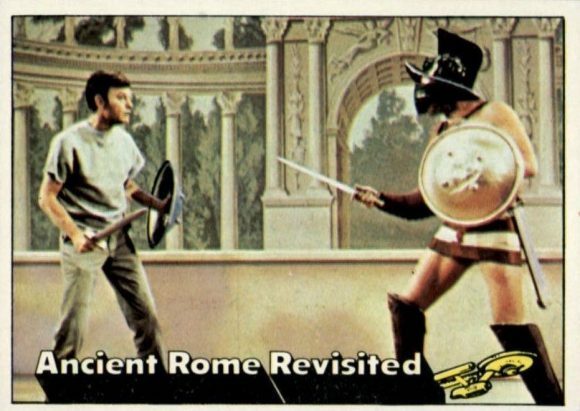 I loved the show as well from it’s premiere in 1966. 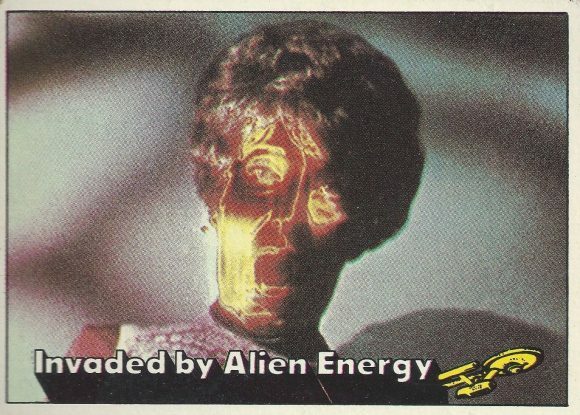 The special effects for their time weren’t cheesy, in fact the show won an Emmy for effects in its third season. It was an expensive show for its time although it may seem cheap by today’s CGI standard. But they were thrilling, clever and innovative at the time. 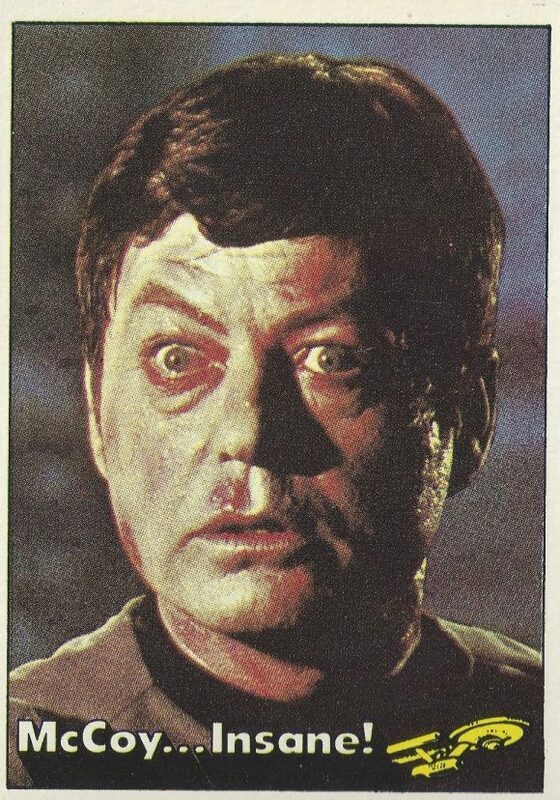 As to the acting, Shatner gets a bum rap for hammy acting. He was more over the top in some of the films but there many restrained and powerful performances by him in the original show. Keep in mind the show was stylized, almost like a Shakespearian stage play at times. 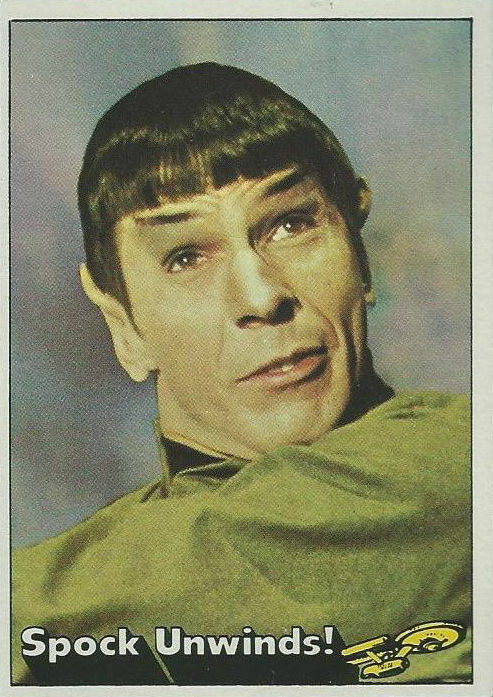 Nimoy was a delight as were the rest of the cast, particularly in their chemistry with one another. It made their characters REAL. Speaking of Shakespeare, another main feature of the show was its literate approach often referencing great literature and authors (Milton, Byron, Shakespeare, George Herbert, John Masefield) and even utilizing their themes along side current sociological and political issues. 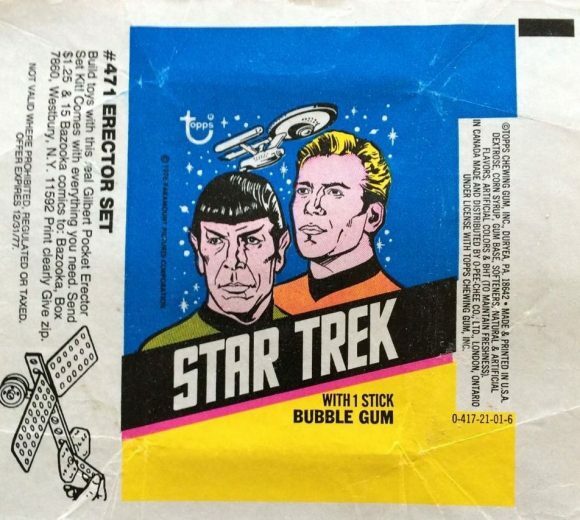 For ME these things are what made the orignal Star Trek great. 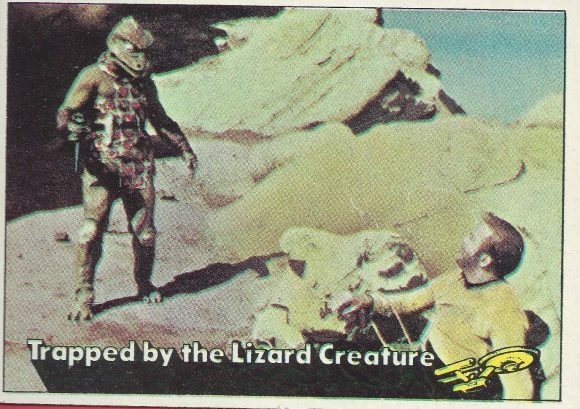 The Lizard Creature was a Gorn. Can’t believe Topps didn’t capture that! They did on one of the other cards — but I thought it was hilarious that they didn’t there, which is why I used it!